so you know we are painters not web designers! Fully Qualified with Over 25 years Experience! LOTS of References Willing to Speak with You. General Paint is a REAL paint manufacturer! They just celebrated their 100th Birthday. General Paint has been around for a long time and they know what they are doing. Perfect matches of any color. Super high quality paints at unheard of pricing. They are located in Hamilton, Ont at Rymal and Upper Ottawa. Just look for the rainbow! The reason why you have never heard of them is because they don't advertise, passing the savings onto you, their loyal customers. Real painters know who they are though and Hamilton House Painters passes along any discounts we get saving you even more! 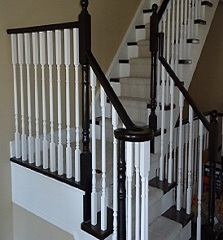 As a Hamilton House Painter, we strive to satisfy all of our customers painting needs by being the best, most professional painters we can possibly be. We are fast, clean and fairly priced. No labor deposits are required! And most importantly we know how to paint your house. Painting your home is one of the most important things you can do so always make sure the painters you choose know what they are doing! Our goal is to win you as a lifetime customer. Our repeat customers can attest to our quality, fair price and respect for you and your home. References ARE available to speak with you, but please remember, someone may call YOU one day looking for a reference, so please, be respectful to our customers when you speak with them. We specialize in indoor/outdoor residential repainting. We also offer commercial painting services as well. 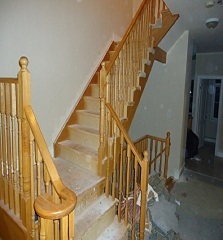 We can complete your project from the taping to the finish coats on time and on budget. Hamilton House Painters offers you our full 30% discount on HIGH quality General Paint products. We don't make a dime on paint. Just go into their store on Upper Ottawa and Rymal Rd and tell them you are a Hamilton House Painter customer and they will give you our full discount. Or we can pick it up for you. Whatever works for you! If you already have an estimate and you would like to proceed, click the book now button below. Also if you have any deals use the button as well. We offer Hamilton House Painting services in the following areas : Hamiton, Burlington, St. Catherines, Guelph, Toronto, Mississauga, Oakville and the Niagara Region.